The Derry reserve football championship final between Slaughtneil and Ballinderry Shamrocks turns violent. Last night's Derry reserve football championship quarter-final between Slaughtneil and Ballinderry Shamrocks was marred by violent scenes. 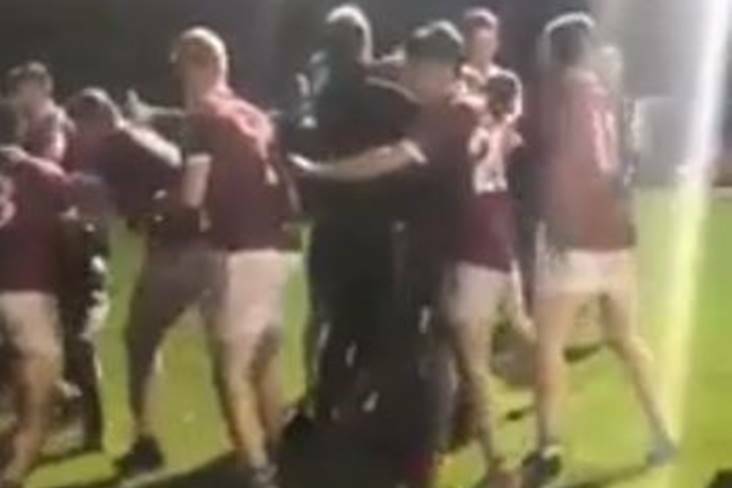 Footage emerged after the game, which saw Ballinderry record a 2-15 to 1-13 extra-time victory, of a mass brawl involving players from both sides. The situation was escalated by an exchange of verbals between players and management with supporters on the sideline. The incident came just 24 hours after Slaughtneil were dethroned as Derry senior football champions by Coleraine and less than a fortnight after referee Damien Harkin and one of his umpires were allegedly assaulted at the end of the county SFC quarter-final between Greenlough and Ballinascreen in Dungiven.